At about 8 am our ship arrived in Koblenz. A beautiful town, it made for a very enjoyable morning stroll before returning to the Skadi to board buses for Marksburg Castle. A climb up some steep stairs from the bus parking lot brought us to the castle. The Marksburg Castle, sitting atop a steep hill, was such a well designed fortress that it was never over-run in its 800 year history. Our guide led us on a very interesting and informative tour through this beautifully restored castle. Following the tour the buses transported us to the waterfront in the town of Braubach. While we were on our tour, the Skadi had set sail from Koblenz to pick us up in Braubach. Back onboard we were quickly underway again and enjoying lunch on the Aquavit Terrace. 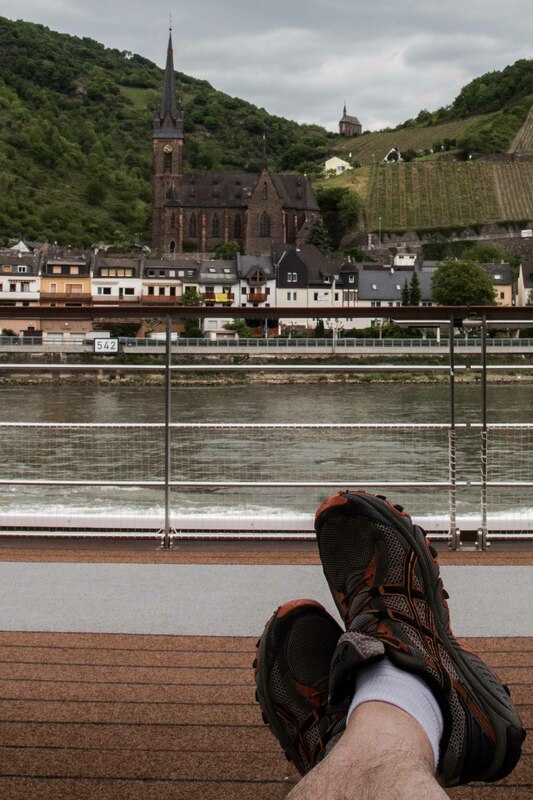 The rest of the day was spent cruising along the middle Rhine with perhaps the most spectacular scenery of our trip so far. 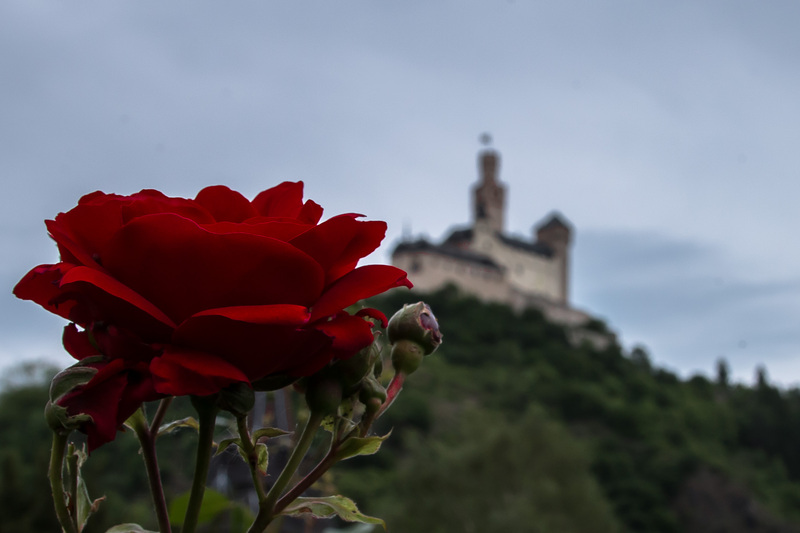 The valley is absolutely beautiful with another hilltop castle, another vineyard on a steep hillside, and/or another picturesque town waiting for you viewing enjoyment around every bend of the river. Prior to dinner our group enjoyed a reception hosted by Deb of Lakeside Travel, the travel agent who had put our group trip together. The “funny nose” theme made for a lot of fun and silliness. After dinner our cruise director Matthew, hosted a trivia contest made up of 20 of the most obscure questions he could have found. It made for a lot of laughter at the end of yet another great day. 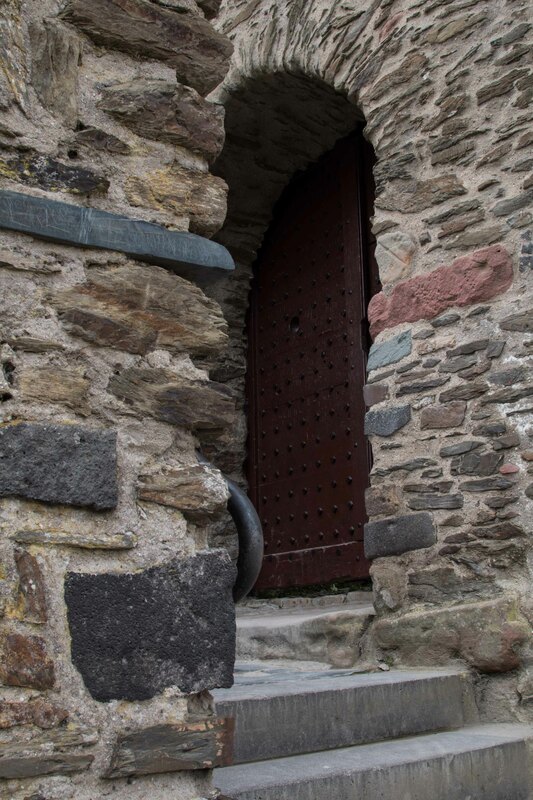 This entry was posted in Travel and tagged Koblenz, Marksburg Castle, Middle Rhine Valley. Bookmark the permalink.